Paris | Reuters — Bayer said on Wednesday that farmers in France and Germany were digging up thousands of hectares of rapeseed fields after traces of genetically modified organisms (GMOs) banned for cultivation were found in seeds sold by the company. Checks by the French authorities during the autumn showed minute quantities of GMO seeds, estimated at less than 0.005 per cent of the volume, in three batches of rapeseed seeds sold under the Dekalb brand, Catherine Lamboley, Bayer’s chief operating officer for France, said. Bayer issued a product recall but some of the seed had already been sown, representing about 8,000 hectares (19,768 acres) in France and 2,500-3,000 hectares in Germany, which are in the process of being dug up, Bayer said. 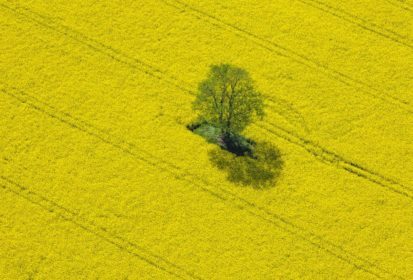 Bayer’s Argentine rapeseed seeds were destined for the European market and represent 12 per cent of its rapeseed supply for France, the company added. Bayer declined to estimate the overall cost of the GMO contamination but said it will offer compensation of 2,000 euros (C$3,005) per hectare to affected farmers, suggesting a payout of around 20 million euros in France and Germany. However, the area is small compared to the total French winter rapeseed area, which the farm ministry in December forecast at 1.23 million hectares. The corresponding German crop area is seen at close to one million hectares. — Reporting for Reuters by Sybille de La Hamaide; additional reporting by Gus Trompiz and Valerie Parent.